Boy, you fellas are getting old! Yes, ladies and germs, another GNB Birthday in the house! We love you LM. Make lots of memories today and have fun. 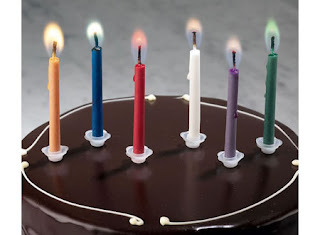 (though we believe that is a way of life for you anyway)-- and check out those cool color flame candles.